Tsomoriri Camps & Resort is situated on Tso Moriri Lake which is about 240 Kms from Leh in the Changthang area at an altitude of 4595 m 15080 ft in Ladakh and is one of the largest of the High Altitude Lakes in the region. Deluxe Tents are set up, adorned with authentic Himalayan motifs and paintings. Parking, Internet/Wi-Fi, Room Service, Travel Counter, Audio-Visual Equipment, Family/Child Friendly, Complimentary Newspapers in Lobby, Backup Generator, Baggage Storage on Request, Front Desk. H/C Water, Desk, Luggage Rack, Air Conditioning Room, Bottled Water in Room, Complimentary Newspaper, Television Room, Cable/Satellite TV, Dustbins, Telephone. 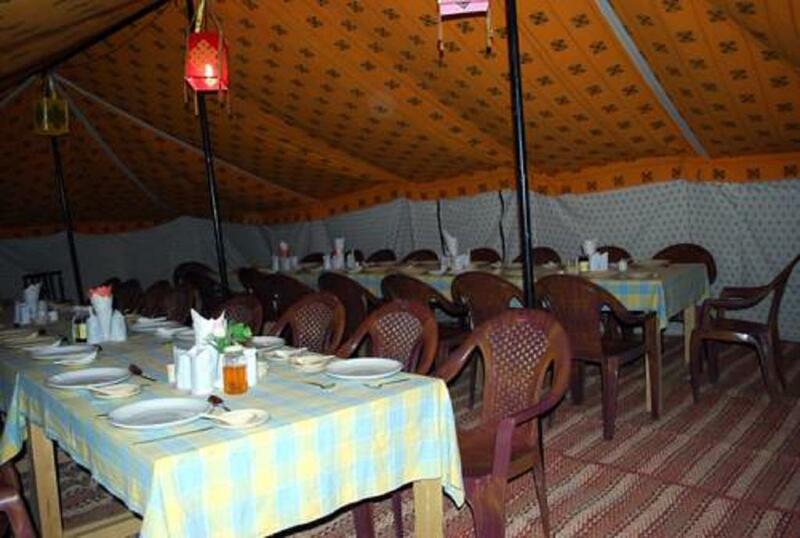 User reviews for "Tsomoriri Camp and Resort Leh"